Mr. Aitch and I were out of town for several days. I’m not complaining as it’s nice to unplug. 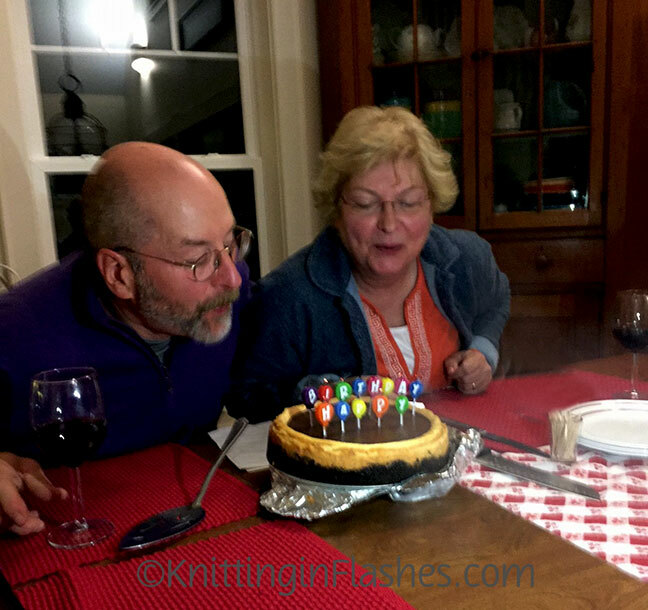 My brother’s birthday is October 26 and mine is the 27th so our family decided to get together at his Lake Chautauqua (New York) cottage to celebrate. He lives in New Hampshire and my sister lives in Ohio so it’s a great meeting place, both geographically and scenically. We ate prime rib, baked potatoes and roasted asparagus. And dessert was vanilla cheesecake with a chocolate ganache topping. Here we are getting ready to blow out the Happy Birthday candles my sister provided. …but it’s nice to be home again. 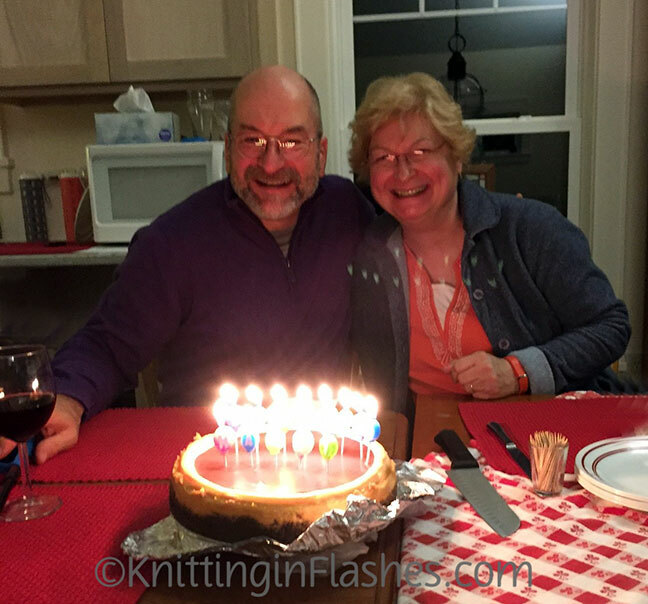 This entry was posted in Family, food, good eats and tagged family, food by Patti_is_knittinginflashes. Bookmark the permalink.